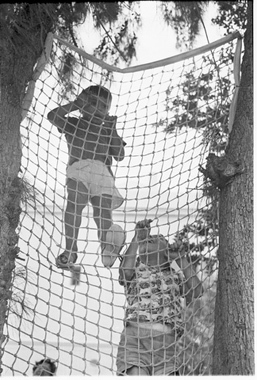 JDC - Archives : Two boys climbing a net hung between trees. Search > Search Results > Two boys climbing a net hung between trees. Title Two boys climbing a net hung between trees. Description Children climbing outside the JDC-supported kindergarten.